Marketing doesn’t just happen online. Effective print design is essential if you want to make a good impression and promote your business. We do customised stationery, advertising, signage, illustrations and more. 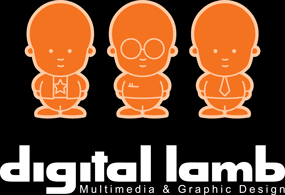 At Digital Lamb, we’ve got you covered for all your print marketing material. 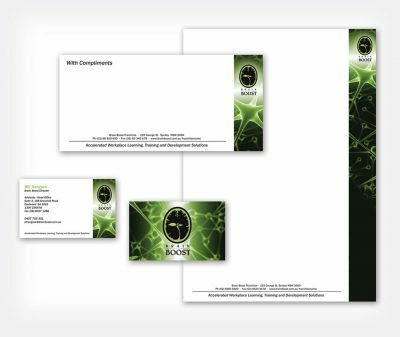 The main purpose of business stationery is to depict the company in a positive and professional manner. It communicates to clients and potential clients that the business is professional and legitimate. Quality stationery will leave a lasting impression and Digital Lamb can help you develop your business stationery from business cards, letterheads, follow-ons, with compliments slips through to invoice templates. Need a brochure for an upcoming conference? Looking to have a poster designed for your fringe act? Want to let people know about your latest offer with promotional postcards? Digital Lamb can assist with any promotional material you need created and printed. We offer a wide range of print based marketing materials. Whether you need large banners for an event, pull up displays for a convention, shop front window vinyls or bunting for the sale season we can help you out. We offer a wide range of signage options all at competitive pricing. Managing a big event? Need invitations, name tags, place cards, menus or signage? Want personalised ‘Thank You’ cards? Whether it’s a personal event such as a wedding, anniversary, birthday or a corporate event such as a launch party, Christmas party or fundraiser – we can help you market your event as one to remember. Need an add placed in the local paper or want to advertise in a magazine that targets your consumers? Let’s have a chat and we can design you an eye-catching advertisement and supply the artwork to spec. Digital Lamb can assist with designing menus and other promotional products for the restaurant and hospitality industry. We can help apply your branding and business theme to menu boards, drink books, table top displays, counter cards, staff apparel as well as interior and exterior signage. Ever thought of using your car as a mobile bill board? It’s an effective and economical way to advertise your business. Businesses need to be remarkable to stand out among their competitors and vehicle wraps provide a unique way to be remarkable. Here at Digital Lamb we can create a quality design that turn heads and gets you noticed. Require a figure illustration to help with your presentation? Need to revise the map of your evacuation plan? Have a development project that you need mapped out? Digital Lamb would love to work with you in developing an illustration appropriate for your needs.